﻿ Deodorizing equipment｜Ecology and Combustion Inc. Odor is heated with the temperature approx. 650~800℃, the odor element in the exhaust becomes oxidized and decomposed with high temperature then the equipment makes the exhaust harmless. Odor is heated with 200 to 300℃ and put through the catalyst. The odor element oxidized, decomposed and become harmless. The system is same as direct combustion system. 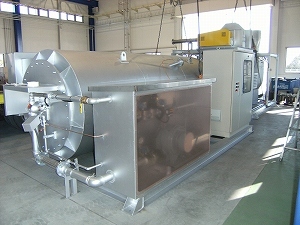 The exhaust is passed through the heat reservoir with high heat exchange efficiency. Heat carried by the exhaust is absorbed by the heat reservoir. 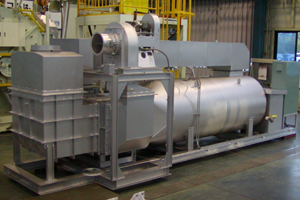 The heat increases temperature of the exhaust and deodorized in the combustion chamber. 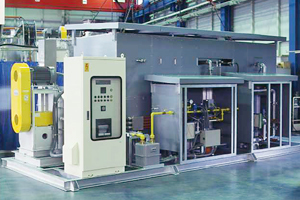 This higher heat exchange efficiency system makes it possible to decrease the consumption of the fuel a lot lower than the direct combustion system. This direct combustion system and catalytic combustion system are connected and became a hybrid combustion system. 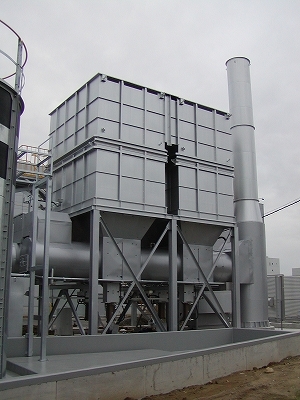 The system is suited when the direct combustion system does not completely extinguish the odor. Direct combustion system recovers the exhaust and reuse it. 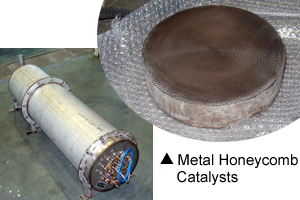 The temperature of the heat is 400℃ and can be applied for catalyst combustion system then the exhaust will be oxidized. 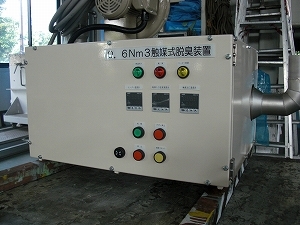 The system is electrically heated catalytic deodorizing equipment. It oxidizes and decomposes ammonia gas with odor. With catalytic combustion system, it oxidizes and decomposes odor from the garbage and make the exhaust harmless.